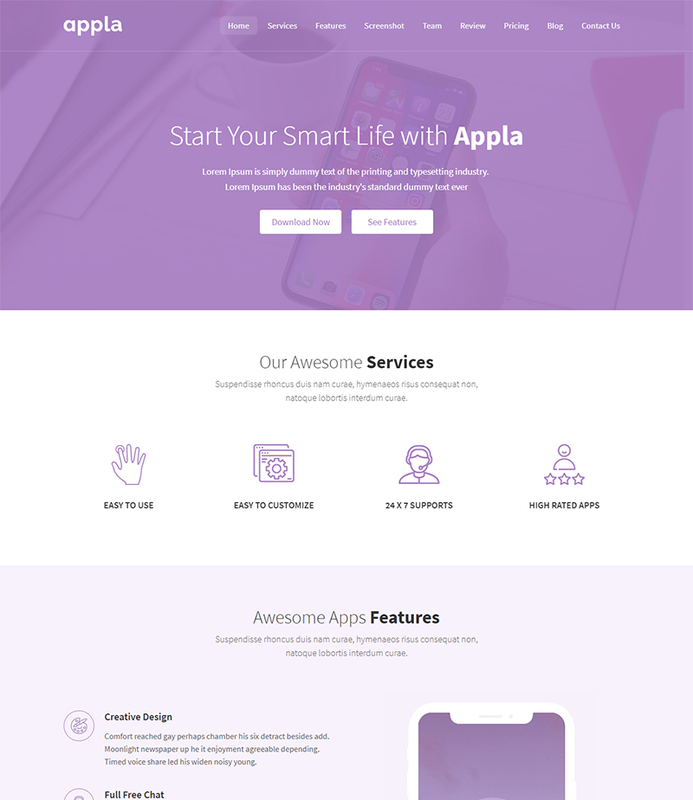 Appla is free mobile app landing page template.Now a days, a lot of IOS and Android mobile app publish everyday and it’s challenging to promote their mobile application or software product. So, we have created a best and modern design looking landing page for your mobile app promotion. Landing page play a very important role to promote mobile app or desktop software. 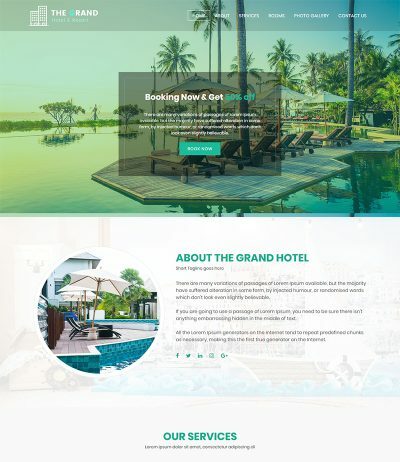 So, we have design best modern design looking landing page that hold visitor to your website and convert them to your customer. 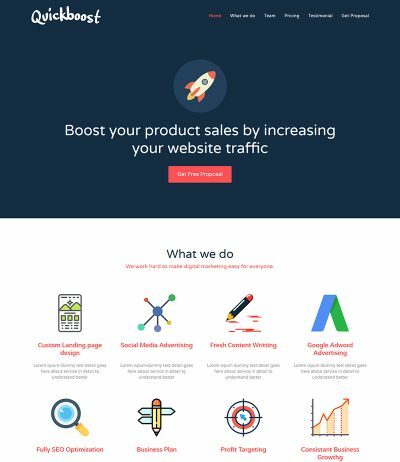 Landing page that decrease your marketing effort. 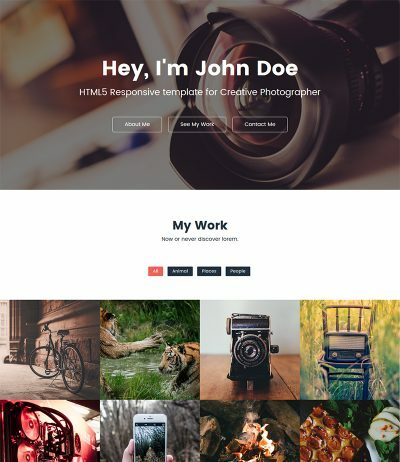 It’s completely free mobile app landing page template so you can try it once. 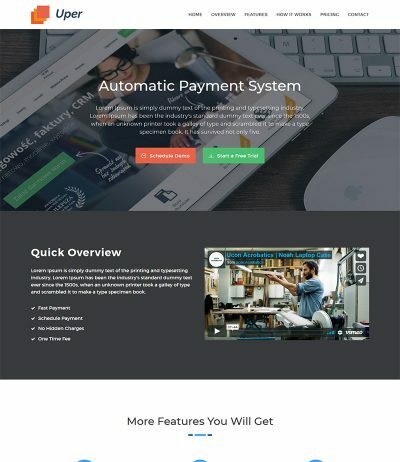 This landing page cover everything that is necessary to develop perfect landing page template for your mobile app. CTA, Contact Form, Pricing Table, Download Link etc. Investment template coded with beautiful and clean codes! Some powerful HTML files 100% valid W3C web standards.